Since 2011, KyMar Farm Distillery has taken great pride in bringing the flavors of New York State Agriculture from the field to the glass. As a family-run operation, KyMar is named for the children in the family, and preserves a family tradition of agriculture, going back to a family apple farm in Pennsylvania. 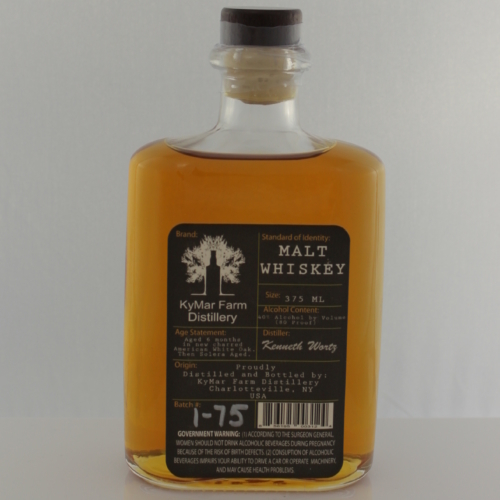 The KyMar Farm Distillery is known for its friendly and unassuming atmosphere, making their own wines and spirits from 100% NY State agricultural products - from the apples in the Mapple Jack to the grains and Sorghum used in their whiskey and vodka. 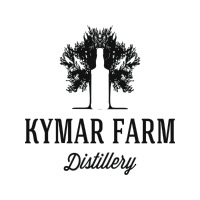 KyMar Farm is a craft distillery and winery located in Schoharie County, NY. Open Weekends 12pm-5pm from Memorial Day until the snow falls! Always available to open by appointment! 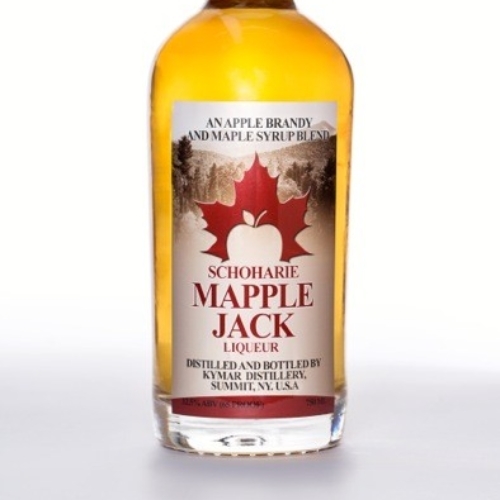 Schoharie Mapple Jack is a unique blend of Apple Brandy with just a touch of Maple Syrup. This Brandy is solera aged at 100 Proof in oak casks until the desired taste and aroma profile is achieved. We then blend the spirit with crystal clear Schoharie water and just a touch of locally produced Maple syrup. Bottled by hand at 65 proof. A traditional European Eau de Vie style. 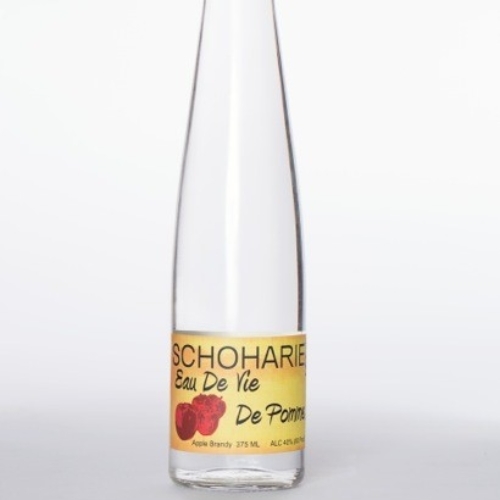 An apple brandy that is double distilled to capture the beautiful aroma of fresh apples. We use only local apples, but we use a mixture of several varieties of apples to get the desired flavor profile. Bottled by hand at 80 proof. 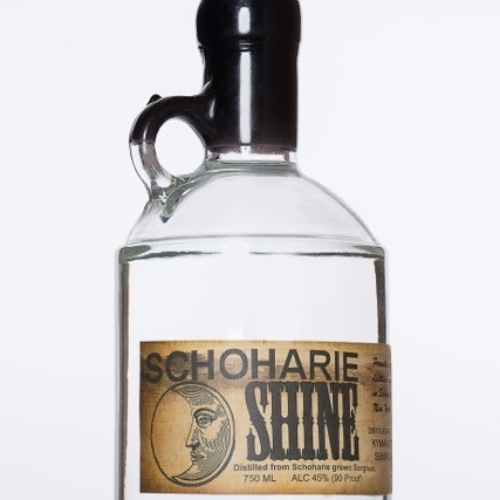 A specialty spirit made from Schoharie grown Sorghum which has often been used in the south by moonshiners when cheaper cane sugar was unavailable. We only use the sorghum and crystal clear Schoharie water to distill in our open fire pot stills. This is our tribute to those southern moonshiners. Bottled by hand at 90 proof. Made from 100% gluten free Sorghum that is grown under 10 miles away. This is a product that is 100% grown, fermented, distilled, and bottled in Schoharie County. 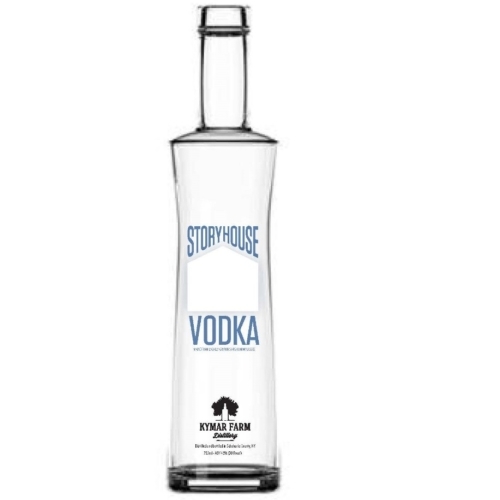 We distill this vodka 4 – 5 times before we put it through the charcoal filtration to ensure an incredibly smooth Sorghum Vodka. Bottled by hand at 80 proof. Our First Whiskey is made from 100% Malted Barley. Distilled, Aged and Bottled on site at 80 Proof. The unique flavor profile is achieved by aging in New Charred American Oak for a minimum of six months before being blended into a 2nd barrel containing older KyMar Malt Whiskey from previous batches. The base is made from 100% gluten free Sorghum that is grown under 10 miles away. 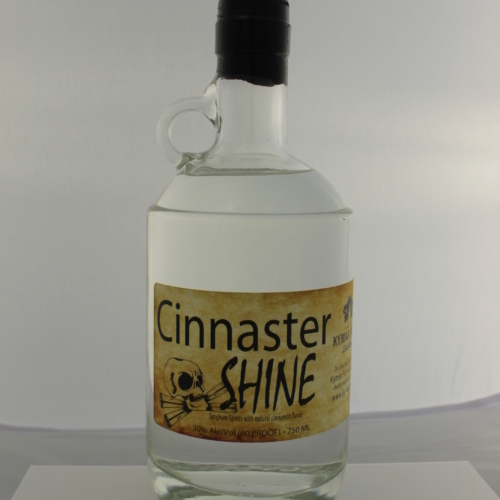 Cinnaster Shine was conceived, carefully created, and craftily distilled by Emily Marsh our assistant distiller. She wanted a shot that she and her girlfriends could order without fear. She has created a “cinnfully” good spirit!